Described as a “life-changing event for players to achieve their dreams of becoming a professional soccer player or to earn an athletic scholarship”, the Sueño Alianza National Showcase has an impressive history of turning amateur players into professionals. Perhaps the most significant find from previous editions of the Alianza National Showcase is Edwin Lara. The Pachuca youngster, who represented Mexico at the U-17 World Cup in 2015, has been named by British media outlet The Guardian as one of the 60 best young talents in world football. Earning a spot at the Sueño Alianza National Showcase isn’t easy. Over 9,500 players attempted to make it to the Showcase during 12 try-outs across the US. One player that was able to make the cut is Jair Sosa. Originally from Maryland, Sosa is a Mexican-American who was part of the U-16 category at the National Showcase. Sosa’s brother took part in a previous Showcase, and the budding defender told me how “excited” he was to be part of this year’s event. Like many young players across the Americas, Sosa dreams of one day playing in Europe. But first he aims to get a chance in Liga MX, and develop his talents in Mexico. Playing in the 2016 POWERADE® Sueño Alianza National Showcase offered Sosa with the perfect opportunity to impress scouts from multiple Liga MX clubs. 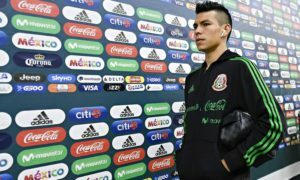 Despite living in the US, Sosa is already on the radar of the Mexico National Team. During a U-16 tournament in Texas, Sosa was spotted by a Mexico scout. A training programme in California followed, where representatives of the Mexico National Team were able to take a good look at Jair. One Liga MX scout that has been keeping an eye on Sosa, along with the other 55 young talents at the National Showcase, is Mauricio Pedroza from Querétaro. Mauricio spoke highly of the Showcase, telling me that it’s becoming more interesting, with more quality players taking part every year. Describing the event as “important”, Pedroza explained how it’s reputation is growing in Mexico. 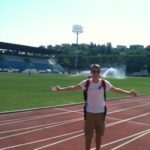 Scouting in the US is a significant part of Pedroza’s work for Querétaro; both for Mexican-American players and non-Mexicans, as long as they are good enough and interested in playing in Mexico. “We need to be wherever we are invited”, Mauricio told me, this increases the “chance” of finding good players. Querétaro also see scouting missions in the US as an effective form of marketing, by increasing exposure to their club. Los Gallos Blancos aren’t a large side historically, but they are a growing name in Mexican football. The signing of Ronaldinho in 2014 was an indication of the ambition that Querétaro have. Pedroza explained that Querétaro are increasingly “becoming important” within Mexican football, and attracting young talents to the club isn’t a challenge. The emergence of Orbelín Pineda from the Querétaro academy showed young players that Los Gallos are potentially a fantastic club to develop with. “Intelligent, smart, strong, character, personality, fit, technical, fast”, some of the attributes Pedroza told me he looks for when on the hunt for a future professional footballer. After his career was cut short by an injury suffered at 21 years of age, Mauricio has been fortunate enough to work in football for over 20 years. He told me that his scouting methods, and what he looks for in a player, hasn’t changed much over the years, but the experience has refined his skills, reducing the probability of him being wrong about a player. The 10/8 rule, introduced to Liga MX at the beginning of this season, has turned many Mexican-American players into foreigners within the Mexican league. Those affected include Greg Garza, Omar González, Jorge Villafana and Querétaro’s Jonathan Bornstein. Now, if a Mexican-American develops in the US and doesn’t register with the FMF before they turn 19, they are considered a foreign player. This rule change hasn’t impacted on the work of Querétaro scout Mauricio Pedroza, who continues to be on the lookout for the best young players that he can find, regardless of where they’re from. 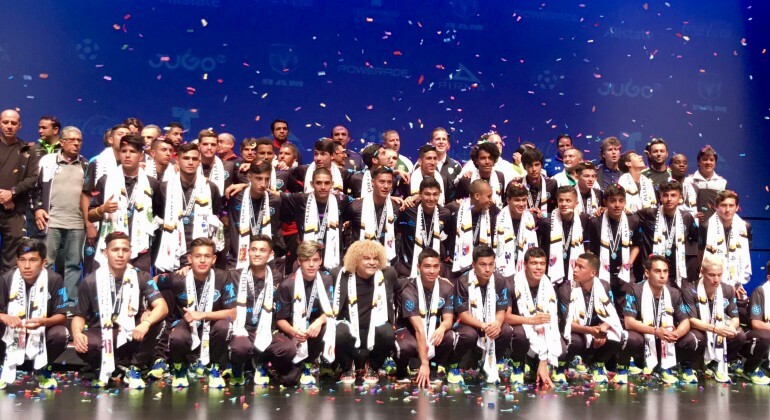 The Alianza de futbol National Showcase ended with a ceremony hosted by Colombia legend Carlos Valderrama, where the players received invitations to join the various clubs that attended the Showcase. Remarkably, every player involved got at least one invitation, with 216 invitations handed out in total, a record for the event. Salvador Martínez was the most in-demand player at the Showcase, gaining invitations from 14 teams, whilst 5 players earned offers from 12 clubs. To read more about the invitations that each player received, click here. Jair Sosa had a successful Showcase, receiving nine invitations. Mexican giants América and Chivas both made an offer to the Mexican-American, whilst Mauricio Pedroza was also evidently impressed with Sosa, as Querétaro were another side which gave Jair a professional invitation. In total, Querétaro offered invitations to 12 players at the National Showcase. As Mauricio explained, this event has become very important to Los Gallos Blancos, and to Mexican football in general. Scouting in the US has become very important to Liga MX clubs in their search for future professional players. Through their National Showcase, Alianza de futbol are making the job of Mexican scouts significantly easier, as they pool together top talent from across the country. With the event breaking records in recent years, the Alianza National Showcase looks set to become even more important to Mexican clubs, and to the Mexico and US national teams, in years to come. Expect to see Alianza de futbol alumni across Mexican football in the near future. If you want to learn more about Alianza de Futbol, and how you can register (from February next year), click here.